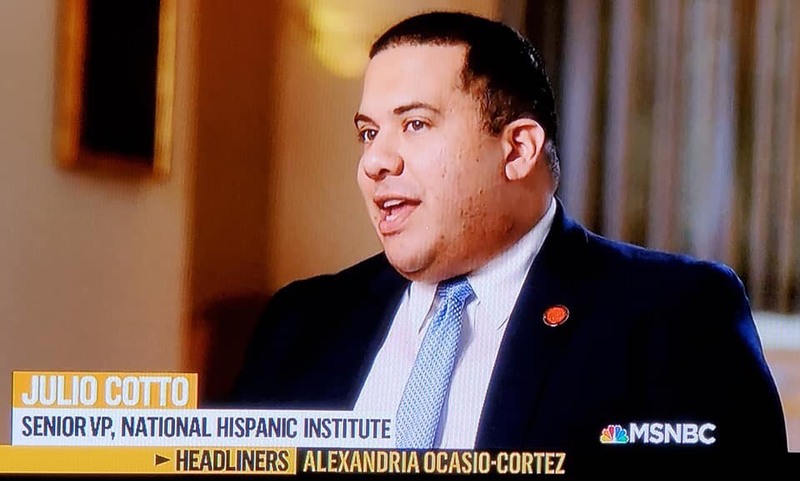 Last night, NHI Senior Vice President Julio Cotto was part of an MSNBC Headliners feature on Congresswoman Alexandria Ocasio-Cortez, NHI’s 2017 Person of the Year. The interview covered Ocasio-Cortez’s time as a high school student attending NHI programs; Cotto’s interview, part of a segment that also features photos and videos from the program she attended, is viewable here. The quote highlights something special about LDZ that many of its alumni experience — students come in expecting one type of journey and get an entirely different one, and learn much more about leadership as a result. An LDZ student might have a sight set on being elected Governor, for instance, and lose that election, and find his or her way into a leadership role with the legislature. Another student might have not even thought about being a Justice at the start of the program, but ends up reveling in that role by the end of it. This year’s slate of LDZ programs includes the Colorado LDZ at Colorado State University in Fort Collins, June 16-23; the California LDZ at the University of San Diego, June 19-26; the National LDZ at the University of St. Francis in the Chicago Area, June 23-30; the New York LDZ, at the University of Rochester, July 7-14; the LDZ Las Américas, at Ciudad del Saber in Panamá, Panamá, also July 7-14; and the Texas LDZ, at St. Mary’s University in San Antonio, July 21-28.